We dreamed green, from the moment we started planning the Learning Center on the Regenstein Learning Campus—in every solar panel we placed, in every window we installed, in every cleaning product we used. Recently, the hard work brought us national recognition. 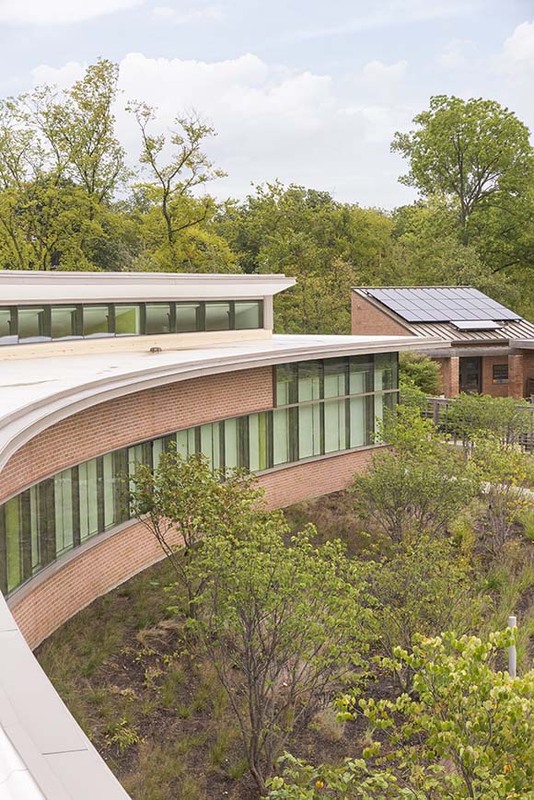 The Chicago Botanic Garden is pleased that the U.S. Green Building Council has awarded the top rating of Platinum LEED (Leadership in Energy and Environmental Design) to the Learning Center, which opened in September 2016. The designation means that the Garden is recognized as a leader in the green building movement. Of 51,875 projects in the United States that has earned LEED status since 2004, only 10.7 percent have been awarded platinum recognition. Natural daylight from clerestory windows illuminates the Learning Center’s main hallway. 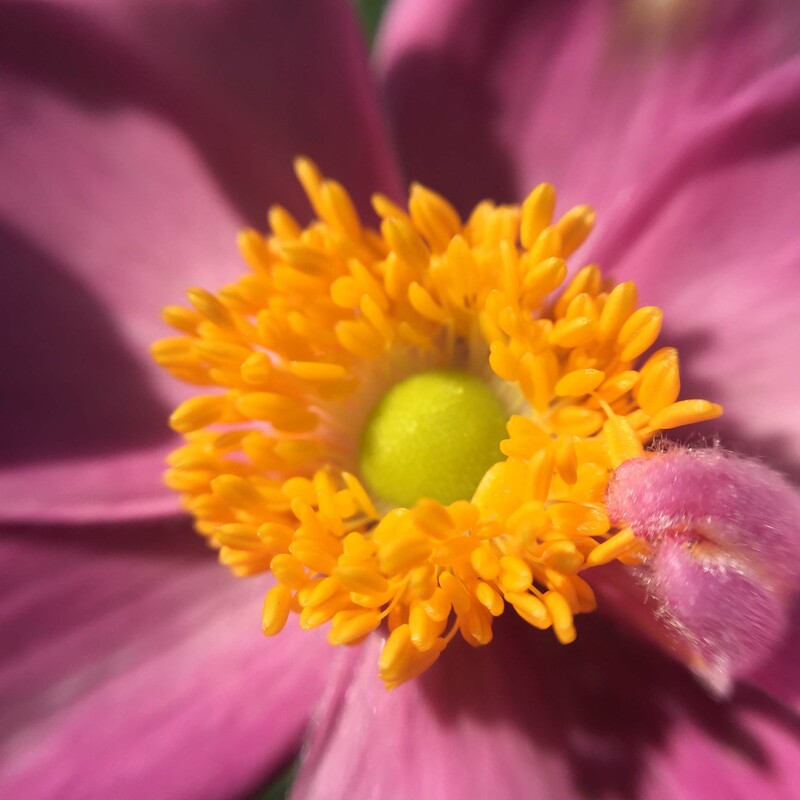 People of all ages and abilities connect with the natural world in the programs, classes, and events through the Joseph Regenstein, Jr. School of the Chicago Botanic Garden, based at the Learning Center. In every single decision we made before opening the Center’s doors, we applied the same sustainability standards that we use for our gardens: How do we save water and energy? What is the best way to reduce our environmental footprint? Solar panels (like these on the Grunsfeld Children’s Growing Garden next door) supply 16 percent of the Learning Center’s electricity. Even outside the Learning Center, we made sure to think local and sustainable in the Nature Play Garden, with climbing boulders from Wisconsin and as many native plants as possible—not as part of the LEED certification, but as part of our environmental ethos. “We are an organization that cares deeply about conservation and sustainability. When it comes to our buildings, we embrace energy-efficient construction practices that mitigate environmental impact,” said Jean M. Franczyk, the Garden’s president and CEO. 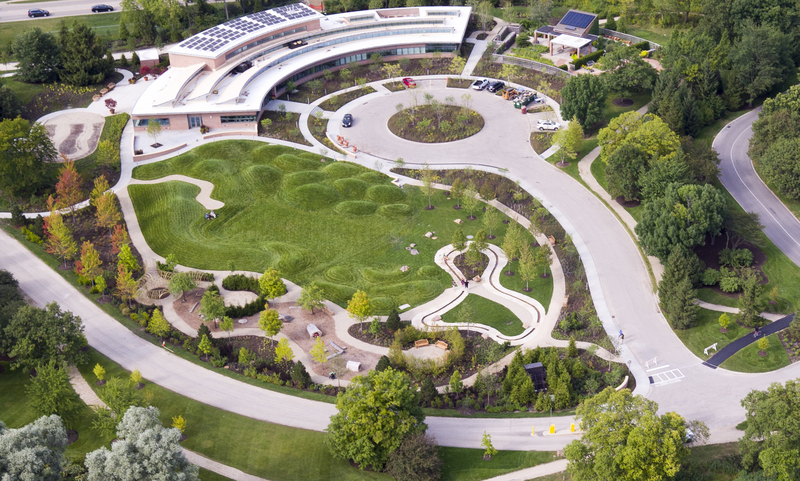 The opening celebration of the Chicago Botanic Garden’s Regenstein Learning Campus on September 10 and 11 is just the beginning of the fun at the Nature Play Garden. How about splashing in the runnel or running up and down the rolling hills? Beyond those charms, the Nature Play Garden has another wonderful element: plants that were chosen specifically for this garden. 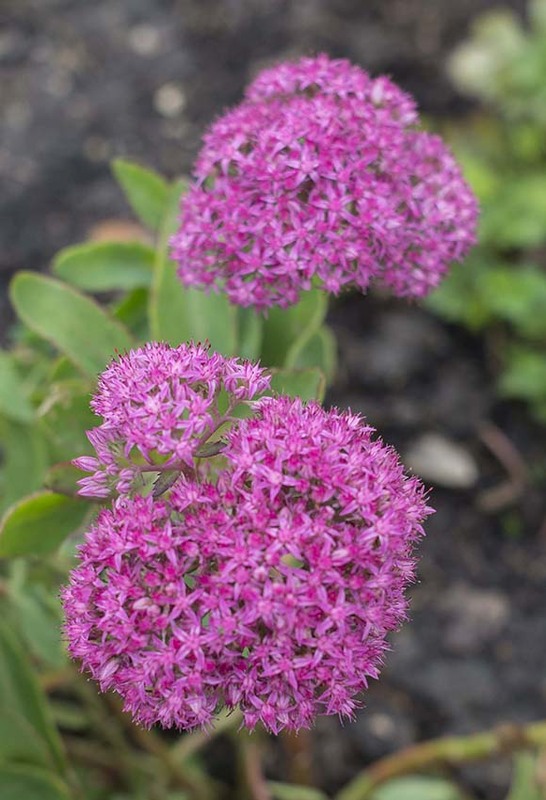 There are plants that appeal to all five senses, and plants with funny names or those that exhibit extreme contrasts. One of the best ways to explore the new Learning Campus and its Nature Play Garden is through plants. In the Garden’s 26 other gardens, plants are chosen, tended, and laid out to enhance the visitor experience. In this, the Garden’s 27th garden, plants are meant to be touched, smelled, and examined up close. 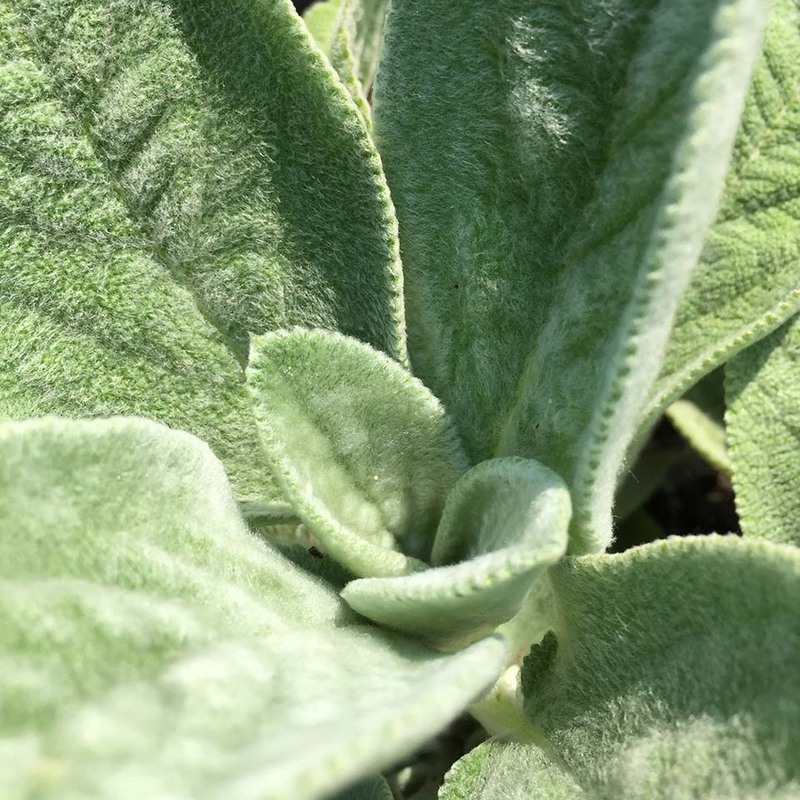 Sensory plants like lamb’s ear (Stachys byzantina ‘Big Ears’) feel soft to the touch. 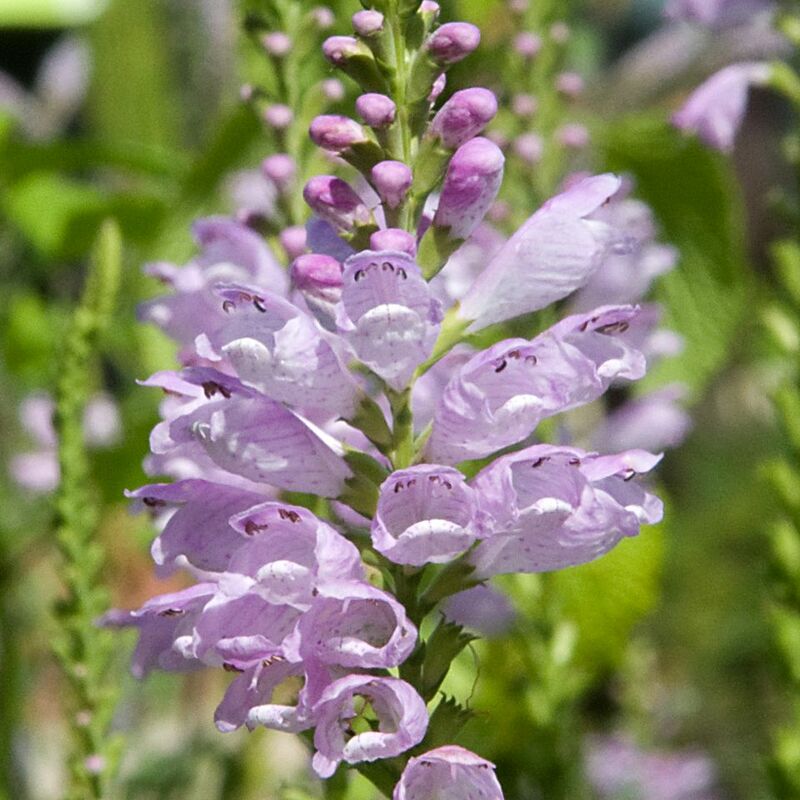 Obedient plant (Physostegia virginiana ‘Miss Manners’) has tubular flowers that remain in place if you move them. 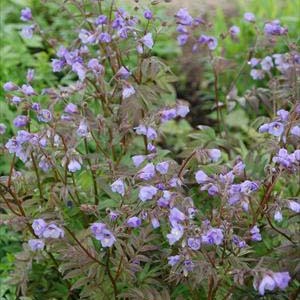 Heaven Scent Jacob’s ladder (Polemonium reptans ‘Heaven Scent’) was chosen for its fragrance. Enjoy its bright bloom in the spring. 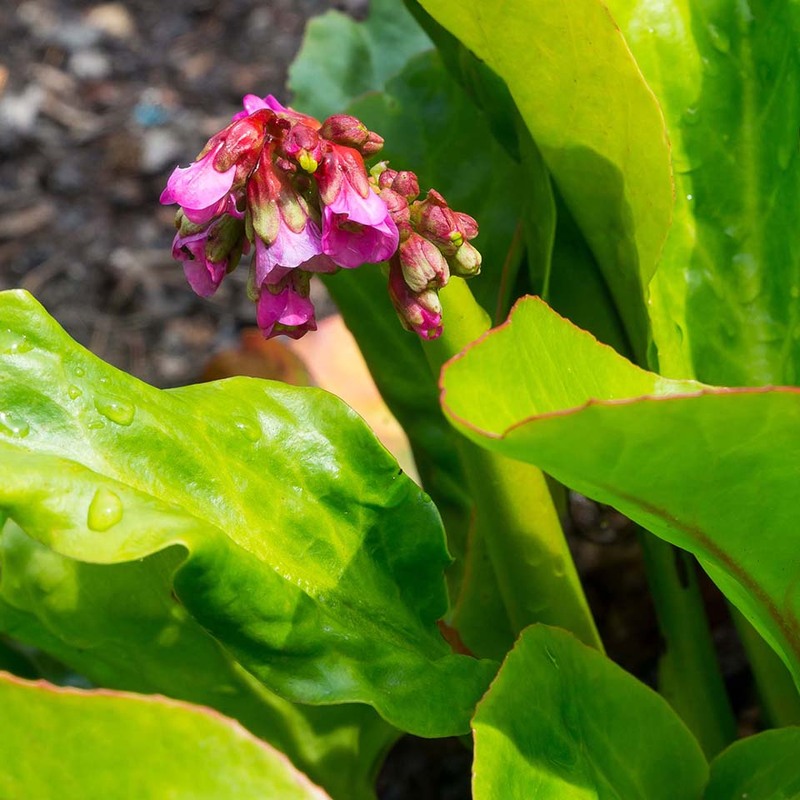 Pigsqueak (Bergenia cordifolia ‘Winterglut’) has big, fleshy leaves that squeak when rubbing fingers over them. 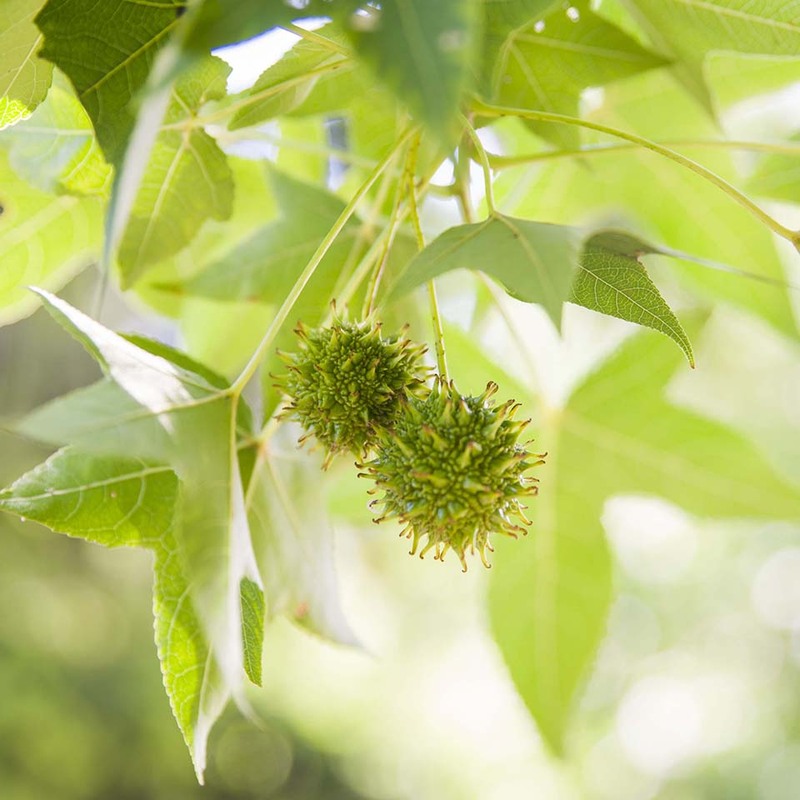 Moraine American sweetgum (Liquidambar styraciflua ‘Moraine’) has star-shaped leaves and seedpods that are spiky; when dry, the seedpods are a great percussion instrument when shaken. Autumn stonecrop (Sedum ‘T Rex’) was a cultivar we didn’t yet have in the Garden. The education staff likes these leaves because they can be filled with air. Columbus Strain redbud (Cercis Canadensis ‘Columbus Strain’) promise to put on a glorious color show each fall. You won’t have to look far to find these: more than 60 surround the McCormick Entry Plaza. 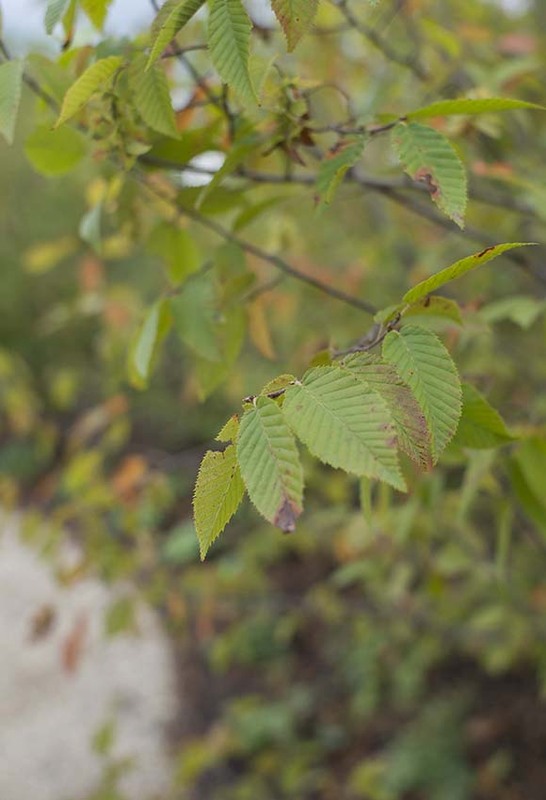 Johnson’s Select American hornbeam (Carpinus caroliniana ‘JN Select’), a cultivar of hornbeam that is recognized for its unusually smaller and upright stature, is ideal for smaller urban gardens with red and orange fall color. These create the Hornbeam Room in the Nature Play Garden. Tiny Tortuga turtlehead (Chelone obliqua ‘Tiny Tortuga’) has flower heads that look like turtles. 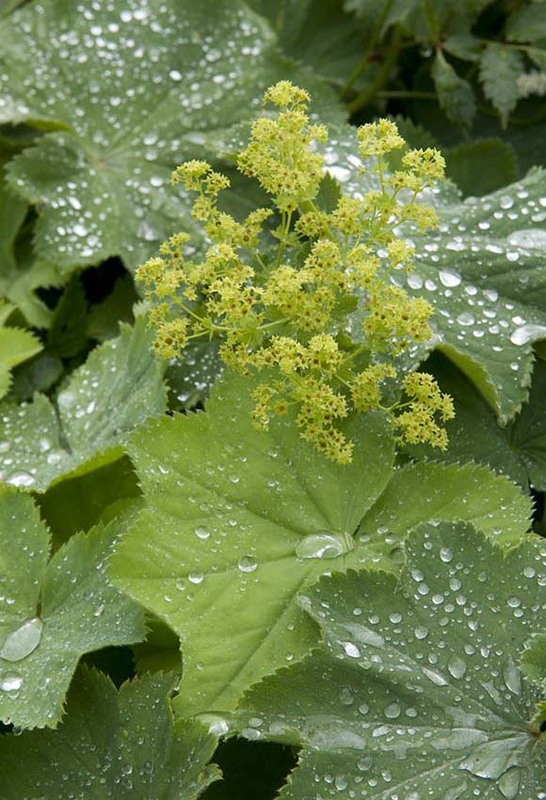 Lady’s mantle (Alchemilla mollis ‘Thriller’) is best when it rains because the raindrops stay on the leaves. 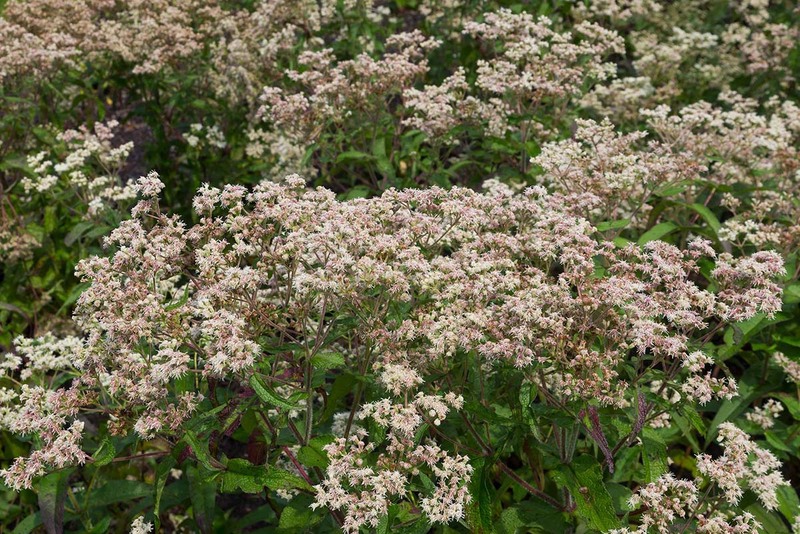 Milk and Cookies common boneset (Eupatorium perfoliatum ‘Milk and Cookies’) is unusually dark-leafed. 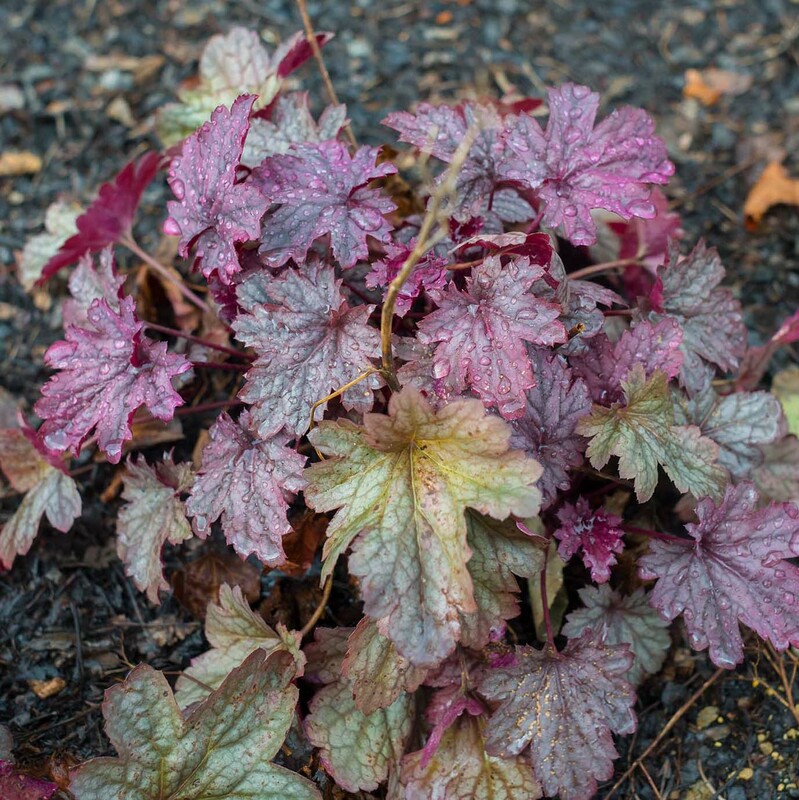 There’s also a mythical hero — Hercules coral bells (Heuchera ‘Hercules’) — and a princess — Cinderella anemone (Anemone × hybrida ‘Cinderella’). The team of horticulturists and landscape designers who worked to choose and plant the elements of the Nature Play Garden looked for four-season interest and plants that would appeal to visitors of all ages and abilities. Our heavy clay soil didn’t work for everything, but the range of options was still enormous. 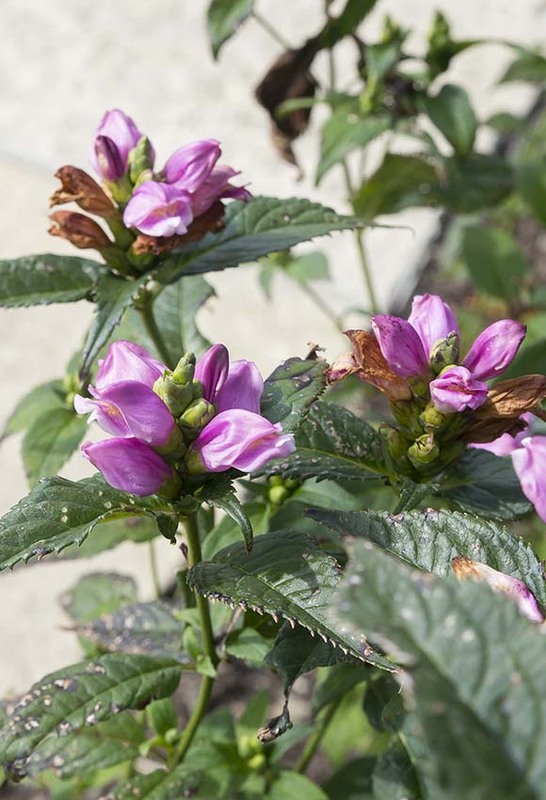 Come to the Nature Play Garden and discover your own favorite plants. Join us for the opening celebration of the Regenstein Learning Campus, Saturday and Sunday, September 10 & 11, from 10 a.m. – 4 p.m. 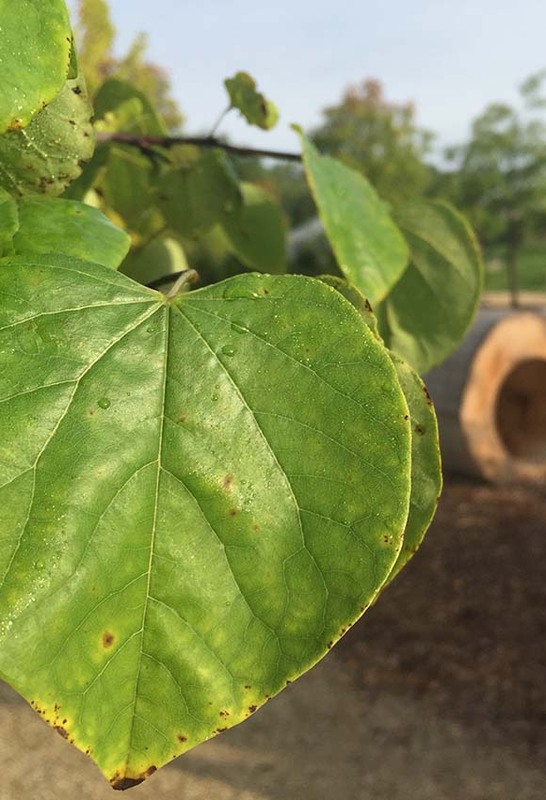 Seven years ago, we dreamed of turning a gravel parking lot at the Chicago Botanic Garden into something defining—a place where learners of all ages could explore and become inspired by the natural world. My name is Eileen Prendergast, and I’m director of education at the Chicago Botanic Garden. 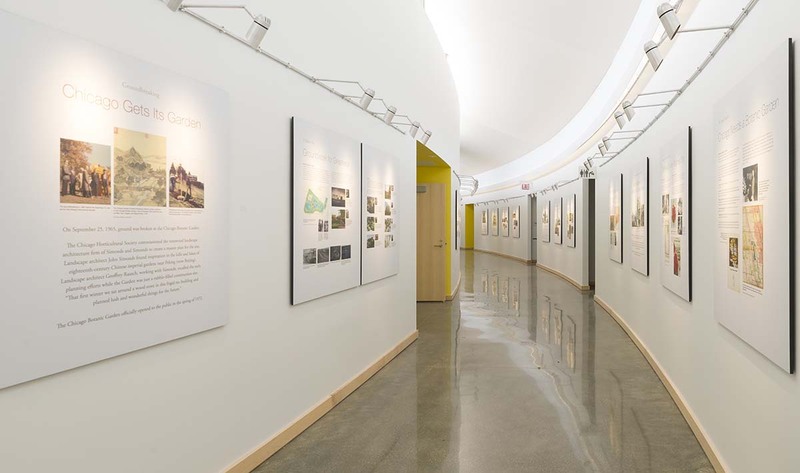 Over the past few years, I’ve spent a lot of time flipping through blueprints of that place, the Regenstein Learning Campus, the new home base for the Joseph Regenstein, Jr. School of the Chicago Botanic Garden. And I’ve been counting the days until we could open the doors to the public. an enclosed indoor beehive that allows honeybees to roam outside—and pollinate flowers in the new Nature Play Garden—and return through a long tube in the Learning Center’s roof. A young visitor examines the new indoor beehive in front of nature photographed in extreme close-up by artist Jo Hormuth. Now the last—and most important—piece of our dream is about to come true. I can’t wait to see the Learning Campus come alive with people—splashing, rolling, climbing, and finding their own inspiration—at the free Opening Celebration. I look forward to meeting you. Yoga is in session at the new Learning Campus. Come to the free Opening Celebration, September 10 and 11, 10 a.m. to 4 p.m.; parking fees apply. Enjoy live music and activities, take home a free plant, and more. Take 10 percent off classes when you sign up on-site on opening weekend (members get 30 percent off). Members are welcome to stop by the lounge for light refreshments and a commemorative gift.